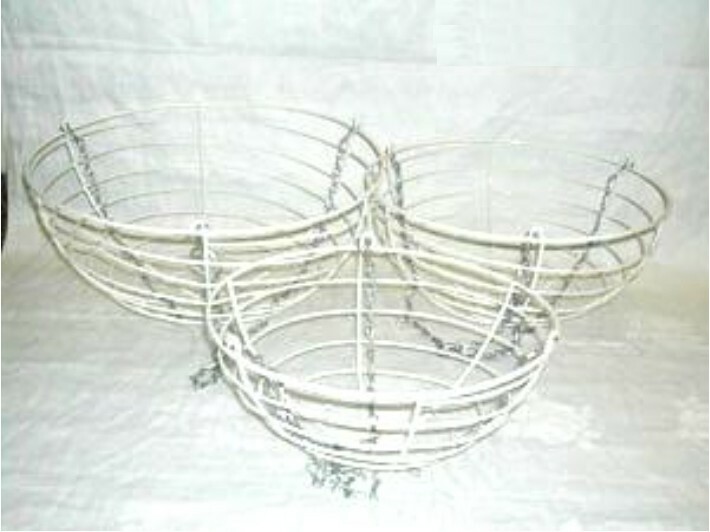 White Wire Hanging Basket With Chain ,hanging basket is a portable . White Wire Hanging Basket With Chain ,hanging basket is a portable . a hanging basket to hold a plant hung up for decoration or for greenhouse cultivation.A container filled with decorative plants. generally hanging basket is used for outdoor decoration displayed plants and flowers and also used for indoor household displayed for decoration . Typically they are hung from buildings, where garden space is at a premium, and from street furniture for environmental enhancement. material used iron hanging basket chain and iron hanging basket . size 14.25” DIA X 8.25” H.